Applauded by the New York Times for his “elegant, mellifluous and expressive baritone,” Charles Wesley Evans is establishing a fine career as an early music artist, and recitalist. This Georgia-born singer began singing professionally as a chorister at The American Boychoir School in Princeton, New Jersey. With The American Boychoir he toured both nationally and internationally, performing under the batons of notable conductors, John Williams, Zubin Mehta, James Levine, Kurt Masur, Vladimir Spivakov and Lorin Maazel. 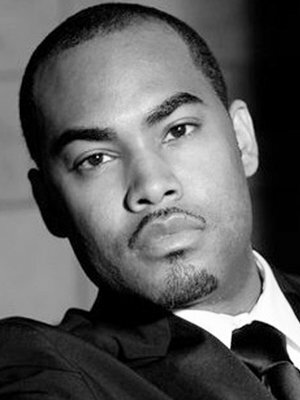 His singing has won him awards from numerous organizations and vocal competitions including the National Association of Teachers of Singing, the Mobile Opera Auditions, the Orpheus Vocal Competition, the Atlanta Music Club Auditions, and the Georgia Young Artist Competition. Charles’ singing has led to a variety of opportunities throughout the United States and abroad. Most recently he has performed various works with Princeton Pro Musica chorus and orchestra, the Delaware Valley Philharmonic Orchestra and chorus, the Dryden Ensemble, TENET, Berkshire Baroque, the Master Chorale of South Florida and “Baroque Masterpieces” with the San Antonio Symphony Orchestra. He is also proud to be on the roster of the Grammy award-winning ensemble Conspirare and Grammy-nominated ensembles Seraphic Fire and the Trinity Choir of Trinity Church Wall Street. Charles has been broadcast on New York, South Florida, Texas and Kansas public radio, and he has recorded on the Naxos and Harmonia Mundi labels. Charles holds a Bachelor of Arts in Music from Brewton-Parker College in Mt. Vernon, GA with further study at the Boston Conservatory of Music and Westminster Choir College of Rider University. He is currently Visiting Assistant Professor of Music at the University of South Florida in Tampa, Florida.